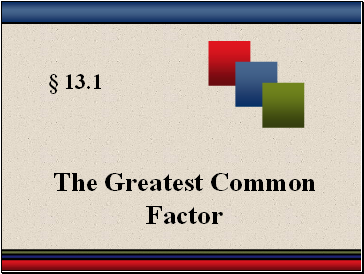 When an integer is written as a product of integers, each of the integers in the product is a factor of the original number. 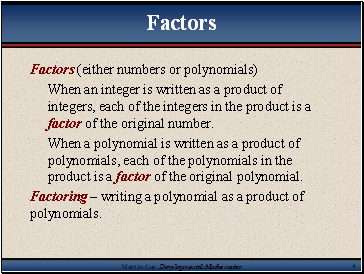 When a polynomial is written as a product of polynomials, each of the polynomials in the product is a factor of the original polynomial. 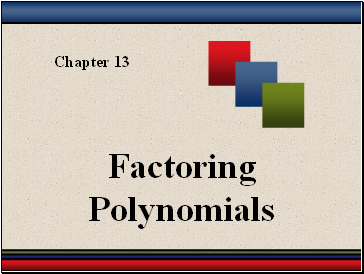 Factoring – writing a polynomial as a product of polynomials. 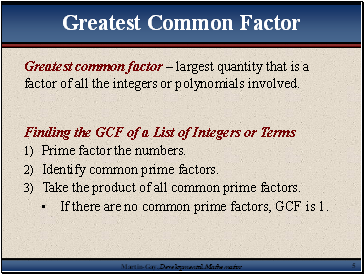 Greatest common factor – largest quantity that is a factor of all the integers or polynomials involved. 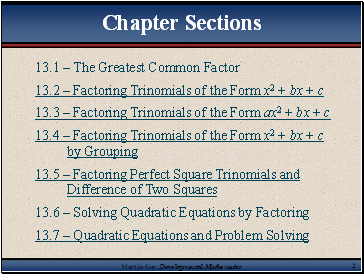 Take the product of all common prime factors. 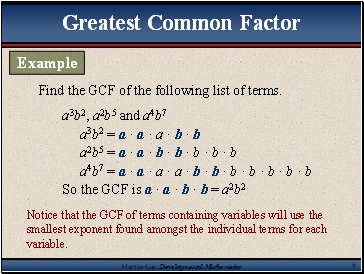 If there are no common prime factors, GCF is 1. 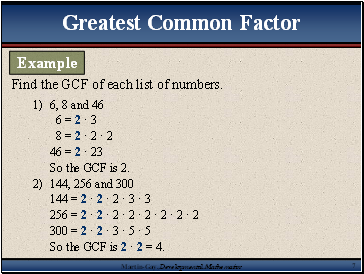 Find the GCF of each list of numbers. So the GCF is 2 · 2 = 4. 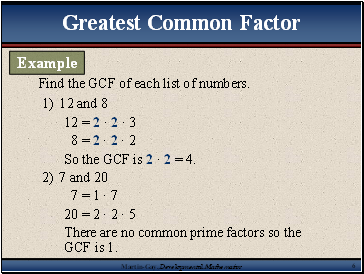 There are no common prime factors so the GCF is 1. So the GCF is 2. 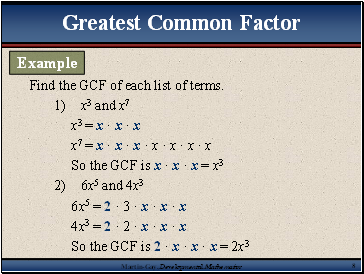 Find the GCF of each list of terms.